When your porcelain, ceramic, or Mexican tile, quarry tile, or other type of tile and grout floors, walls, or other surfaces become dingy, stained, faded, or just dirty looking, entrust them to Classic Marble and Stone Restoration, the Philadelphia and Delaware Valley area's preferred tile and grout cleaning experts. 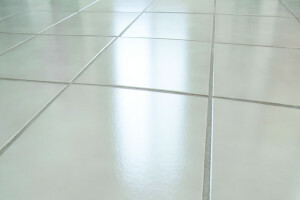 Many tile and grout floors that appear to be in very poor condition just need a good heavy-duty cleaning to remove dirt, grime, bacteria, allergens, and other contaminants from the surface of the tiles and from within the pores of the grout lines. We also provide sealing and color sealing services so your regular day-to-day cleaning will be easier and more productive and your floors can stay looking great between professional cleanings. We know what it takes to make your porcelain, ceramic, and quarry tiles and grout look great and serve you well. Deep cleaning, followed by grout color sealing, if called for, then finished with our New Generation coating solution will protect them and keep serving you well for years to come with minimal cleaning. Visit our Specialty Solutions page to learn more. For a free estimate on tile and grout cleaning in the Philadelphia and Delaware Valley area, use our online contact form or call (610) 356-4100 today.